And sister company Yorkshire Bank is to close another 39 branches, according to one union. 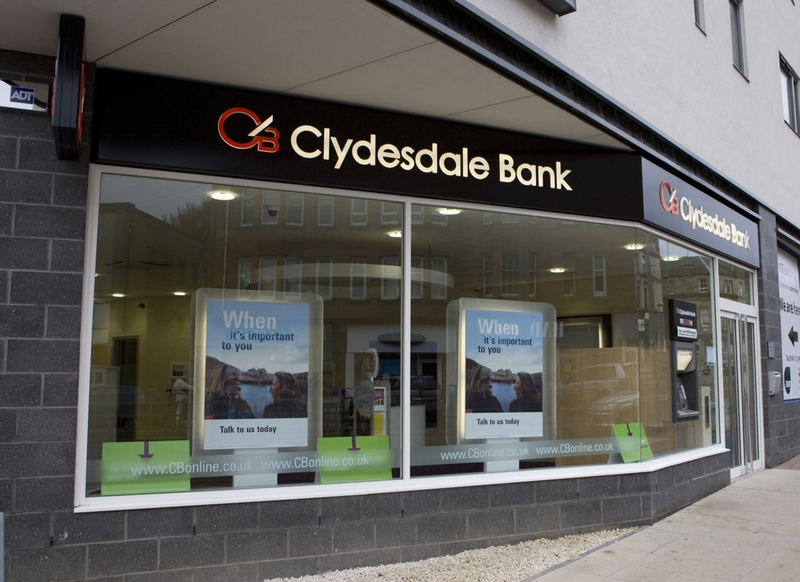 Clydesdale told staff on Wednesday that it will close branches in Brechin, Forfar and Stonehaven in Angus and the Mearns, along with Leven, Rosyth and South Queensferry in Fife. Around 400 staff are believed to be at risk of redundancy due to the closures, across the two institutions. The lender, the roots of which can be traced to Glasgow in 1838, was floated for £1.6 billion on the London Stock Exchange in February 2016. Clydesdale branch, closure date, and nearest branch: Brechin, May 16, Montrose; Forfar, June 1, Dundee; Stonehaven, May 15, Aberdeen Principal; Leven, June 2, Glenrothes; Rosyth, June 16, Dunfermline; South Queensferry, May 19, Edinburgh. See tomorrow’s Courier for more on this story.